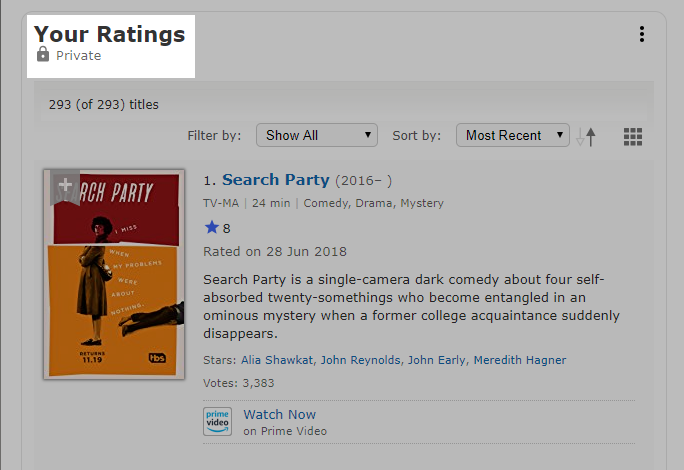 Your Ratings includes every title you've rated on IMDb. To navigate to the page, select your name in the right hand of the screen and select "Your Ratings" from the drop down menu. By default, your ratings are displayed in chronological order (most recent ones appear first) but you can change the sorting order by clicking on the dropdown menu at the top of the list.